* 50 % reduction of greenhouse gasses emission by developed countries for second period of commitments from the Kyoto Protocol years 2013 to 2017. * Stabilize the rise of temperature to 1 C and 300 parts for million of carbon dioxide in the atmosphere. * To guarantee an equitable distribution of atmospheric space, taking into account the climate debt of emissions by developed countries for developing countries. * Full respect for the Human Rights and the inherent rights of indigenous peoples, women, children and migrants. * Full recognition to the United Nations Declaration on of Indigenous Peoples Rights. 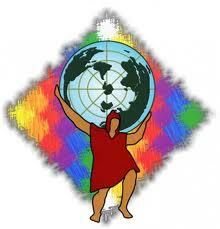 * Recognition and defense of the rights of Mother Earth to ensure harmony with nature. * Guarantee the fulfillment of the commitments from the developed countries though the building of an International Court of Climate Justice. * Rejection to the new mechanisms of carbon markets that transfer the responsibility of the reduction in emissions of greenhouse gases from developed countries to developing countries. * Promotion of measures that change the consumption patterns of the developed countries. * Adoption of necessary measures in all relevant forums to be excluded from the protection of the intellectual property rights to technologies and ecologically sustainable useful to mitigate climate change. * Developed countries will allocate 6% of their national gross product to actions relatives to Climate Change. * Integrated management of forest, to mitigation and adaptation, without market mechanics and ensuring the full participation of indigenous peoples and local communities. * Prohibition the conversion of natural forest for plantations, since the monoculture plantations are not forest, instead should encourage the protection and conservation of natural forests. This document forms the basis for negotiations leading up to the 16th annual meeting of parties (COP16), the successor conference to the failed Copenhagen conference, which will meet in early December in Cancún, Mexico. Hi, Jeanne. Thanks for your note, Jeanne. It was great meeting you. Look forward to seeing you again before too long!